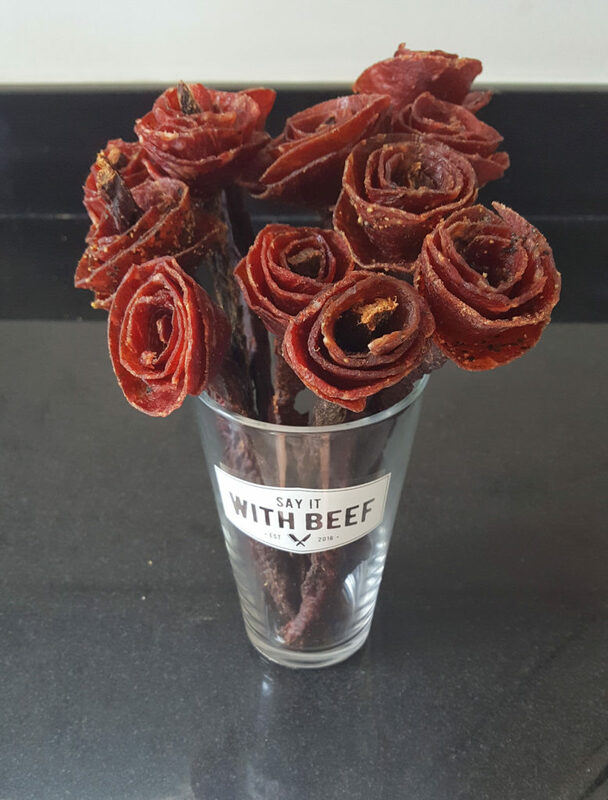 My wife got me these jerky roses by Say It With Beef for Valentine’s Day, and I couldn’t be more impressed with the quality and flavor. So cool! There were three flavors: original, peppered and teriyaki. My favorite was the peppered, but they were all great. The stem of the rose is edible too. They have a dry but not hard consistency. 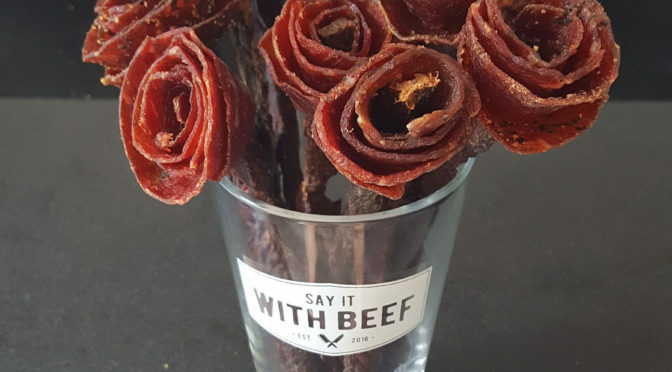 Good beefy and savory flavor through and through, and they come with a nice pint glass instead of a vase. I highly recommend these for any meat lover.